During a short yet intense battle with a rare form of testicular cancer, Jonathan Avitia drew strength from this verse from Ephesians chapter 6. Today, to preserve and honor his memory, Jonathan’s wife Lindsey Dotson Avitia uses it as inspiration for her FIYA Fighter Tee project. Fight In Your Own Armor, or FIYA, is a collection of shirts that are easy for patients to wear while in the hospital undergoing treatment. Designed to fit like a favorite t-shirt, the FIYA Fighter Tee is a welcome replacement for revealing and awkward hospital gowns. It is made of a soft, lightweight, moisture-wicking bamboo/cotton blend, and it has discreet plastic snaps for easy on-and-off and for inserting an IV or catheter. The idea for the shirts came when Jonathan was admitted to MD Anderson Cancer Center in 2011. At that time, he had just been handed a stage 4 diagnosis of a rare form of testicular cancer, referred to as a extragonadal germ cell tumor, and he would have to immediately begin treatment. Although Jonathan agreed to wear the gown initially, he quickly sketched a design that would address the needs and benefits of the gown, yet allow him to look and feel like himself. Within a few weeks, they had several shirts made, which restored some sense of normalcy. Lindsey says the nurses and doctors loved the way the design pleased patients and made their jobs easier. 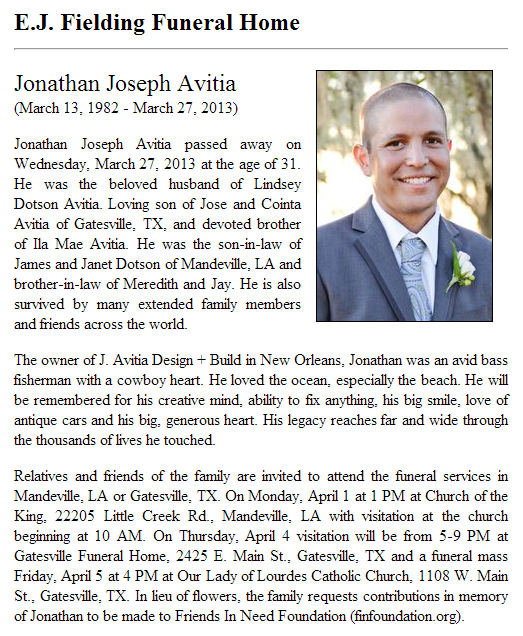 Jonathan passed away while fighting on March 27, 2013. As his wife, Lindsey sees sharing FIYA as her calling, and, on May 16, 2015, she launched a 30-day Kickstarter campaign to help fund the production. In the initial phase, FIYA will offer two styles of the original IV-accessible shirt — a unisex crew neck, which mimics a basic t-shirt (available in gray, black and blue) and a slimmer-cut women’s v-neck (available in gray and coral). Standard tees are also available for friends and family to wear. Lindsey’s wish is that this Kickstarter campaign adds spark to Jonathan’s idea. As a social entrepreneurship, FIYA’s goal is to help others through proceeds. 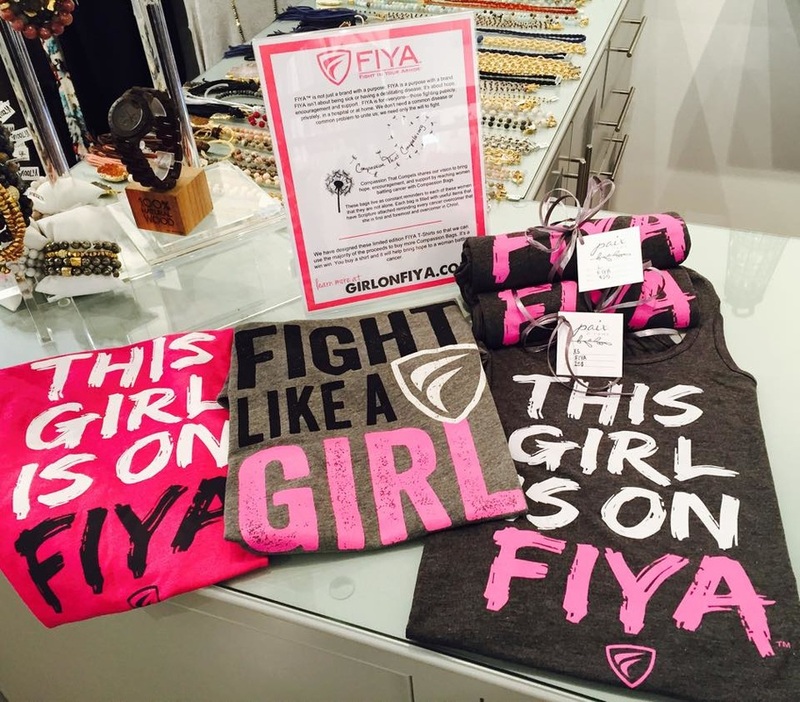 A portion of all profits from FIYA apparel purchases go to patient-benefiting charities and to manufacture Fighter Tees that will be donated to patients. Although originally designed to help those undergoing inpatient treatments, Lindsey hopes that FIYA can ultimately “catch on” and become the symbol of a fight against any illness, disease or unjust cause. An incredible story of true love and faith through life's unpredictable journey. Those of us in Jonathan's Army encourage you to take the time to read the blogs, visit the pages and be inspired to renew your own love story in life.